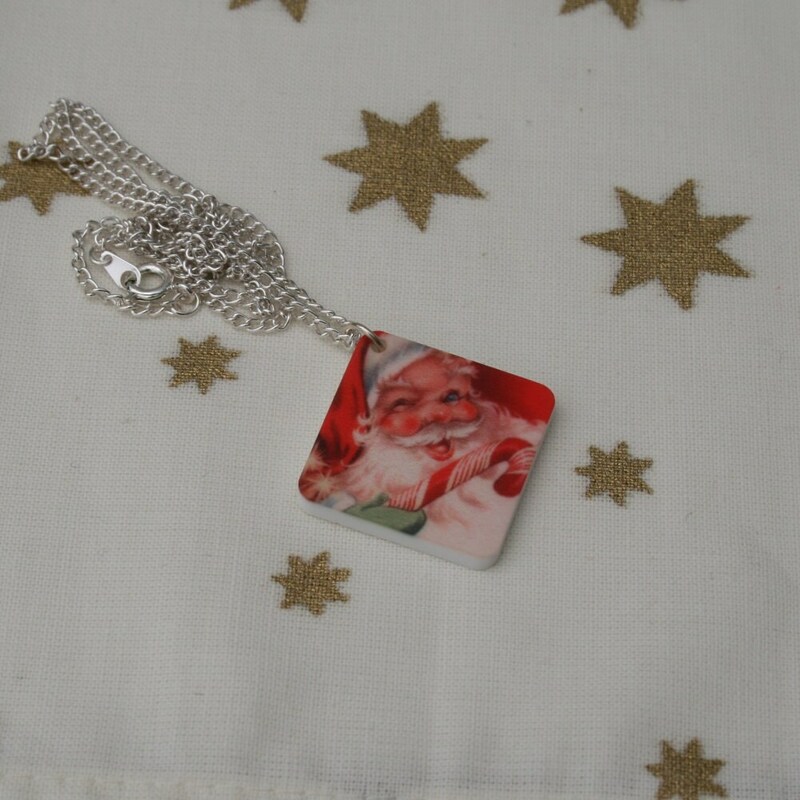 This beautiful Father Christmas necklace has been made by printing a Father Christmas illustration to 1/8” (3mm) white acrylic and then laser cutting to shape. The reverse of the pendant is white. The pendant has then been added to an 18” (45cm) silver plated chain.